The trailer complements item no. 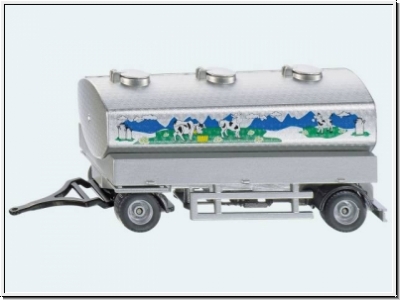 Article 1939 - the milk collecting truck. With its attractive themed design, the trailer ensures more flexible playtime fun together with the collectable trailer or a tractor from the 1:50 series. The cover for the pump unit opens to reveal the pump and flexible hose fitting that can be rolled out ready for use. Warning! Not suitable for children under 36 months. Suffocation due to small parts.